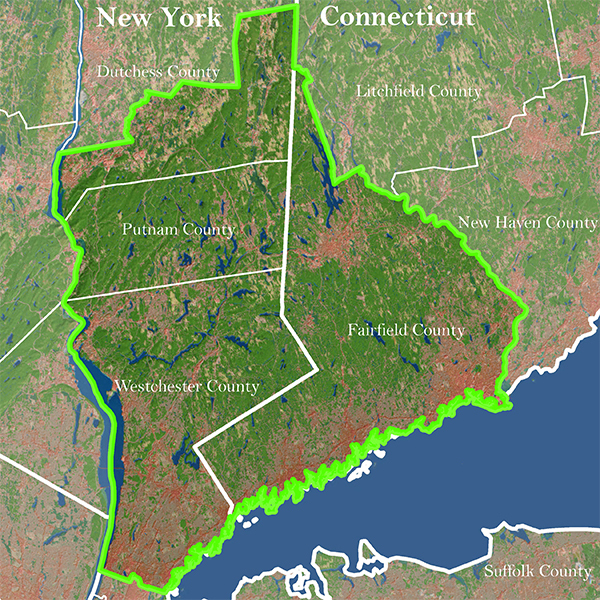 H2H works from the Hudson River to the Housatonic River, spanning all of Fairfield County in CT and parts of Westchester, Putnam, and Dutchess counties in NY. All who live in the Hudson to Housatonic Region benefit from the work of H2H through the protection of air and water quality, climate resilient landscapes, and the preservation of un-fragmented habitats for native flora and fauna. In total, H2H’s reach covers a region of 2,300 square miles, serves a population of about 2.3 million people, and benefits the drinking watershed for 9 million more.